From chairs and tables to sofas and stools, we here at 3DPrint.com love a good piece of 3D printed furniture, and many furniture companies all around the world are on board as well. 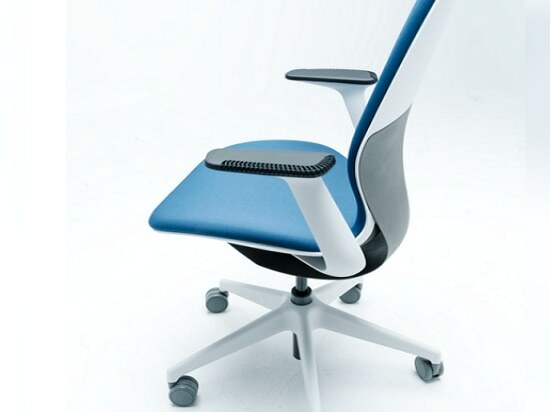 Last spring, Michigan-based office furniture manufacturer Steelcase worked with the MIT Self-Assembly Lab to develop an experimental new 3D printing method called Rapid Liquid Printing (RLP) that was used to make furniture, such as Steelcase’s Turnstone Bassline Table. Now, the company has teamed up with 3D printing companies Carbon and Fast Radius to redesign its award-winning SILQ office chair. 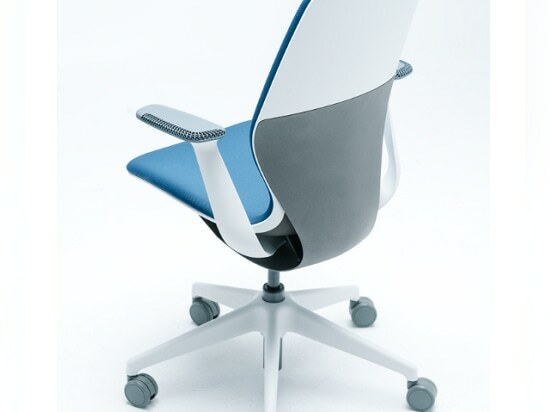 “Ever since SILQ first debuted, we have continued to experiment with enhancements to the chair’s design, living up to our reputation of pursuing innovation. 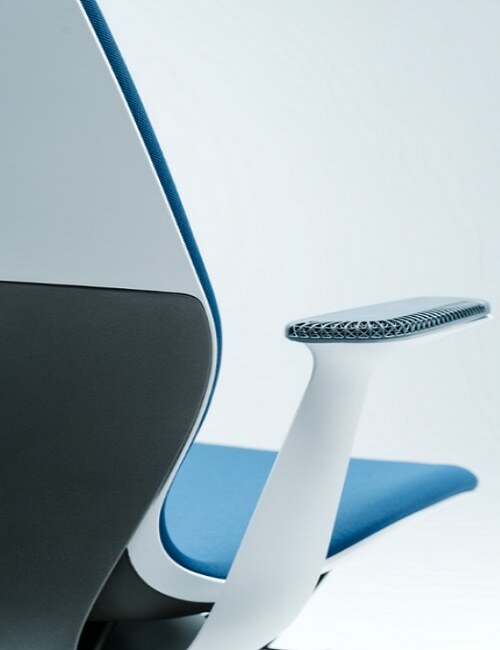 The additive manufacturing processes from Fast Radius and Carbon enabled us to streamline the already-unique aesthetics of the chair with a lattice structure that also condensed three parts into one,” said Bruce Smith, Steelcase Director of Global Design. Fast Radius and Carbon were brought on board to help Steelcase explore how 3D printing could be used to make its product development process better, as well as lower the time it took to bring products to market and differentiate them from the rest of the pack. 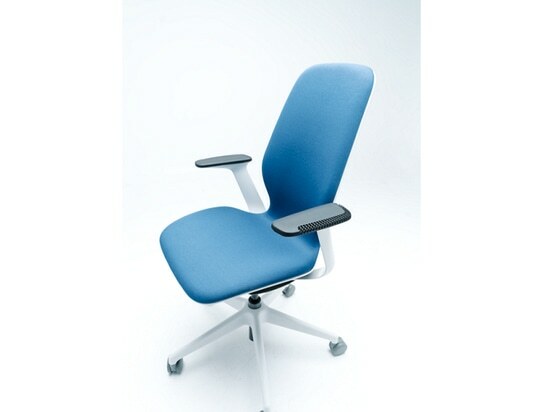 Steelcase’s vision for its SILQ office chair is consumer personalization. With this in mind, Fast Radius and Carbon used their respective 3D printing processes to more closely align the design of the SILQ chair with human physiology. Together, the companies designed, engineered, and produced a custom arm cap for the chair, which was 3D printed at the newly opened headquarters of Fast Radius in Chicago’s West Loop. 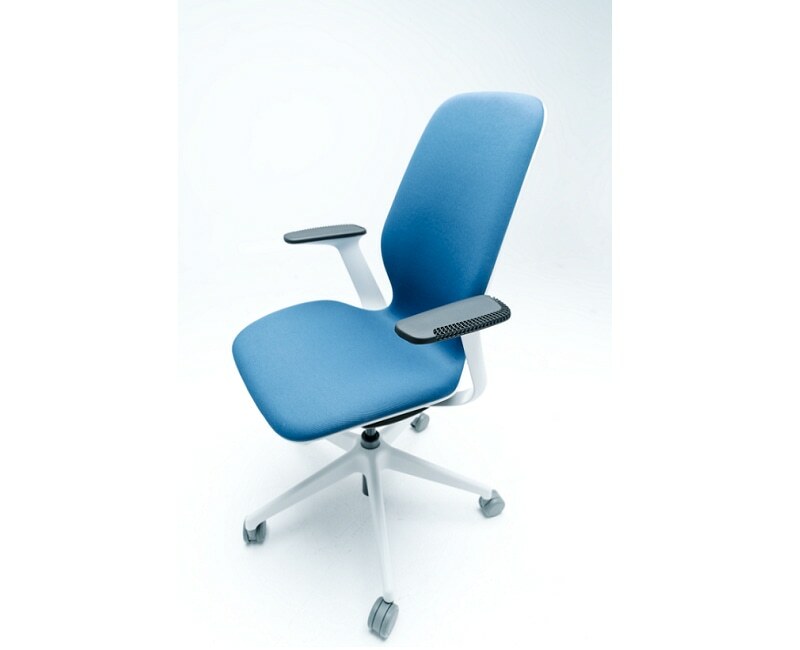 Each part of the SILQ chair, the new arm cap included, is specifically designed to intuitively react to each individual’s body and movements. 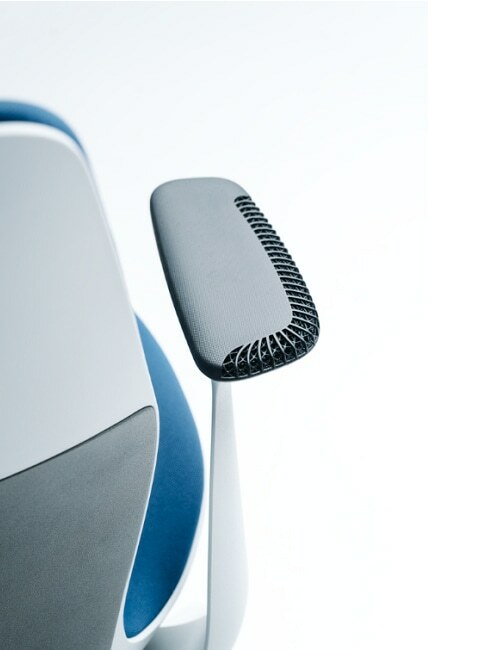 The 3D printed armrest was designed separately in four zones, each of which offers different attributes that are based on how one’s arm could possibly interact with it. 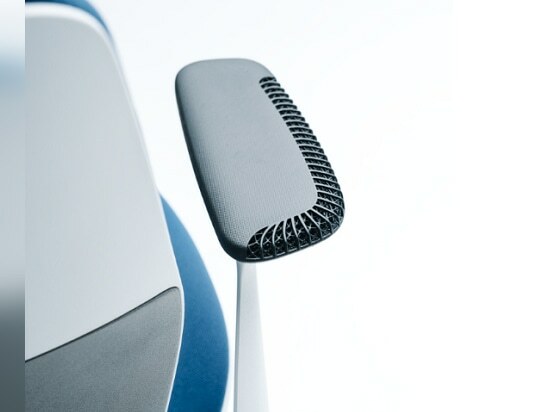 Fast Radius used Carbon’s proprietary Digital Light Synthesis (DLS) technology to 3D print the armrest as a single, cohesive part, and used lattice structures to keep the performance high while also decreasing material usage by up to 70%. 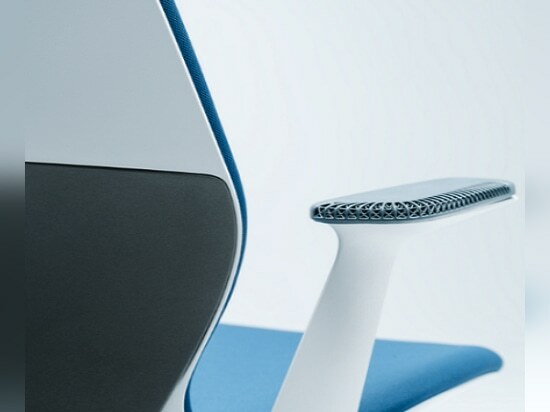 While you can purchase one of Steelcase’s other SILQ chairs now, the new 3D printed armrest won’t be able to hit the commercial market officially until further enhancements are completed. 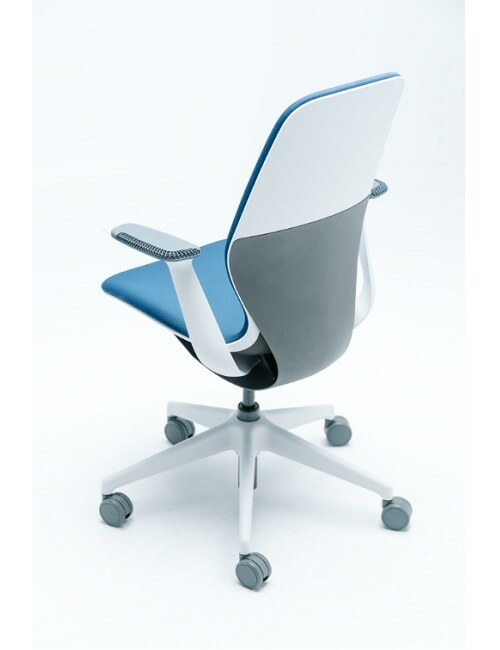 At NeoCon 2018, the most important event of the year for the commercial design industry, Steelcase showcased several of its SILQ chairs, including the new version featuring 3D printed armrests, in its showroom, which earned it the Best in Competition award. The company also received an Innovation Award for its SILQ concept. 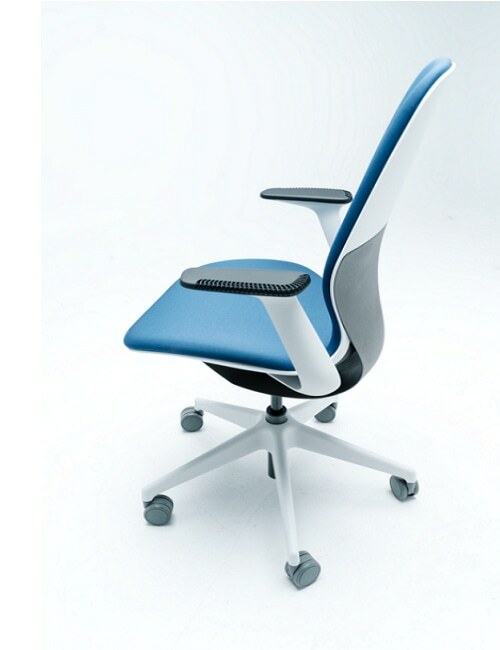 During IMTS 2018 this week in Chicago, Carbon and Fast Radius will be displaying the Steelcase SILQ office chair, complete with 3D printed armrest, at Carbon’s booth #431505 in the West Hall.